Thank you PayPal for sponsoring this post. Visit PayPal to give the gift people really want this season: money! I’m so excited to team up with PayPal P2P to celebrate the holidays across the miles! Most of my family lives miles away, with myself way over here in the Midwest, it can be hard to shop to and get packages mailed on time for the holidays, not to mention expensive! With PayPal P2P, you can securely send and receive money with family and friends using just a phone number or email address between PayPal accounts. Be it food for Friendsgiving, the taxi to a holiday party, or that group gift for Mom and Dad, there are many reasons to use PayPal P2P payments this holiday season. 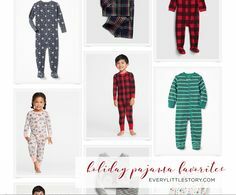 I LOVE PayPal and use it frequently, so naturally, when the opportunity came up to work with them on this fantastic holiday gifting idea, I was ecstatic! PayPal is a part of my daily life and it’s such a convenient way to transfer money. My side of the family all reside on the west coast in California and Vancouver, which includes my siblings, parents, cousins and nieces and nephews. I don’t see them nearly often enough and it’s difficult sometimes to be so far away! We have family miles away on my husband’s side as well. It can also get very expensive to ship gifts across the US. While I love personal gifts, wrapped perfectly in paper and bows, it becomes less convenient as family members get older and families expand. I love when people are able to get the gifts they want and sending money their way guarantees they get to pick that perfect gift! Sometimes it can even be money just to help out. We all have financial struggles and trials and during the holidays, money can be tight. So getting some extra funds via PayPal can really brighten someone’s holiday season. You can send a PayPal P2P digital greeting by simply logging into your account on PayPal.com, select Send Money, enter the recipient’s contact information, designate the amount, click the gift box, select your favorite greeting, personalize with a message, and send. The funds go right into their PayPal account; if they don’t have an account, they can quickly open one for free. And the best part?! You can do it all from the comfort of your own home (your bed, even)! So convenient and so fun with new digital holiday greetings, co-created in partnership with Leandra Medine, founder of Man Repeller, for a personal touch every time you send! As a Graphic Designer, I’m always oogling designs like these and I love the ones Leandra came up with, even including a design for those who celebrate Hanukkah. You can access the PayPal P2P digital holiday greetings on your desktop or mobile web via any browser by logging into your PayPal account and click “My PayPal.” Click “Pay or Send money” and choose “Send money to friends and family.” Select the recipient and in the “Add a note” section, click the gift box to make it a gift. You will then be prompted to pick a card design. Click “Save” and “Continue” to complete the transaction. To learn more about PayPal’s holiday offerings, go to: http://clvr.li/2hwucFV. It’s awesome to be able to give such a personal gift across the miles, when you can’t be there physically. Even though we’re all thinking it, it can be a little awkward asking for money as a gift. The good news: You are not alone! PayPal’s 2017 Holiday Money Habits study found that money is the most-wanted gift for the second year in a row, and 52% of Americans wish they could ask for cash instead of traditional holiday presents this year. So, if you’re in need of a last-minute gift or simply just don’t know what to get all of the people on your list, seize the season with PayPal’s free P2P holiday greetings so people can get what they really want this year: MONEY.